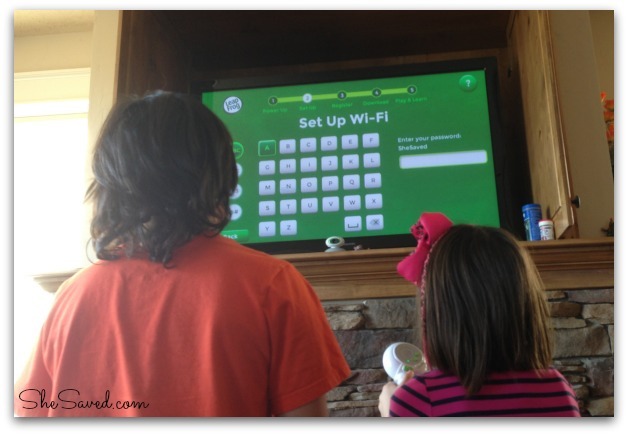 If you haven’t yet tried LeapTV, it is a huge hit and awesome option for entertainment! We reviewed it last fall and I have to say … this isn’t your sit down and play video games gaming system. This is a stand up, jump around, sweat your head off and have a blast system that is not only fun for the whole family, but educational too! Another thing that I love about this gaming system is that these games make great gifts (think Easter basket!!) and they are releasing new ones all the time! They just released 3 new games that are sure to be a hit, and we were lucky enough to review them! Save the day with Marshall, Chase, Skye and all six pups after a big storm damages Adventure Bay. Dive into action to rescue a whale, think like a scientist to restore the river and match lost baby animals with their parents. Catch special treats when your missions are complete. Designed for children ages 3-5 years, Nickelodeon PAW Patrol works with the LeapTV Educational, Active Video Game System. New! 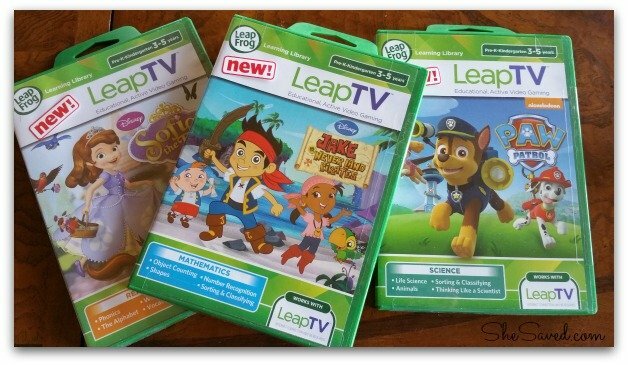 LeapTV, the first Educational, Active Gaming System for kids featuring Disney Jake and the Never Land Pirates for LeapTVgaming systems puts early mathematics learning in motion for children ages 3-5 years. Kids jump into counting, shapes, number recognition, number sense and sorting/classifying in an action-packed pirate adventure. In Disney Jakeand the Never Land Pirates for LeapTV gaming systems, when Jake, Izzy and Cubby find a bottle on the beach containing a map, they’re sure it leads to treasure-but pieces are missing. The pirate crew needs brave, energetic explorers to help them put the map together and find the treasure. Search high and low and play five active mini-games. Run, fly and sail around Never Land in search of pirate treasure-look out for Captain Hook! Children get up and move throughout the adventure. New! 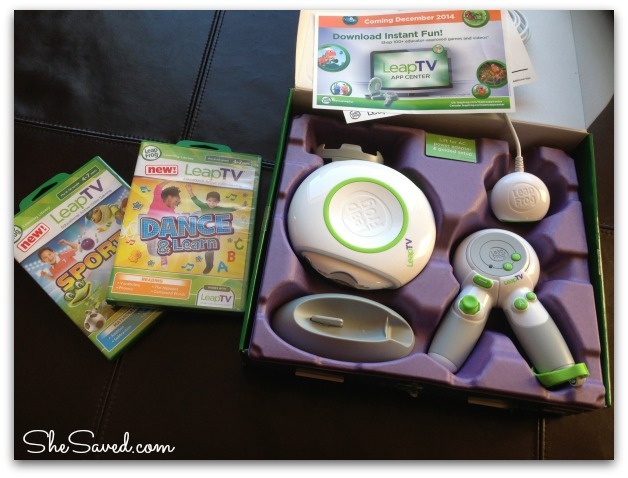 LeapTV, the first Educational, Active Gaming System for kids featuring Disney Sofia the First for LeapTV gaming systems puts early literacy in motion for children ages 3-5 years. Children practice phonics, the alphabet, word sounds, rhyming and vocabulary in an active, enchanting, princess-powered adventure. In Disney Sofia the First for LeapTV gaming systems, join Sofia the First and Prince James as they get ready for a friendly picnic game competition. Thanks to Sofia’s spirited training program, these good sports might just have a royal advantage! Children get up and explore the world of Enchancia in exciting new dimensions. They help Sofia and Minimus master riding and flying by identifying upper- and lowercase letters. As Minimus gets tired, children can shake the controller to build up the small horse’s energy. Back on the ground, run, hop and tip-toe to guide Sofia through woodland obstacles-use listening skills and respond with body motion. For a limited time, Amazon is offering the LeapFrog LeapTV on sale for $99. Plus, shipping is FREE with Amazon Prime or with Super Saver Shipping on orders of $35 or more. 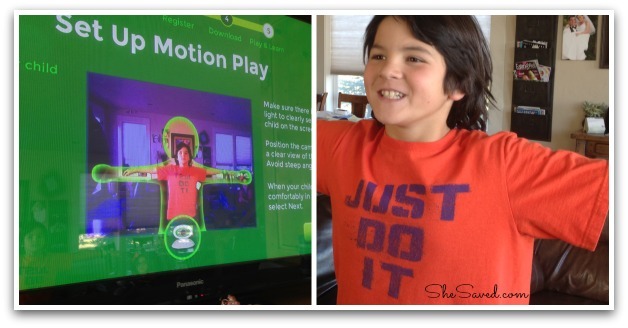 Get minds and bodies moving with LeapTV, the educational, active video gaming system built just for kids ages 3-8 years. You can read my full review of this gaming system here.